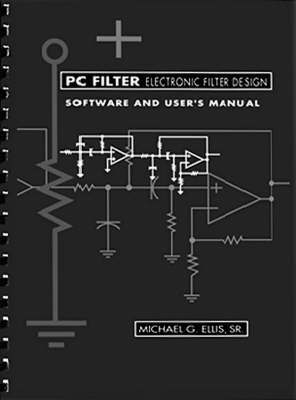 Intended for practising electrical engineers who require convenient access to the basic principles of filter analysis and design, this package is intended as a companion to "Electronic Filter Analysis and Synthesis". It covers the design of diverse filter types including the active, passive, finite impulse response digital, infinite impulse response digital, and parasitic insensitive switched capacitor circuits. It consists of 20,000 lines of source code and is an extended version of the 7500-line program that won the 1991 software contest sponsored by "RF Design Magazine".